It's not outlandish now, if it ever were. A recent article in Science headlined "Once Considered Outlandish, the Idea that Plants Help their Relatives Is Taking Root," and dealing with how plants communicate, is drawing widespread attention. Wrote Elizabeth Pennisi: "For people, and many other animals, family matters. Consider how many jobs go to relatives. Or how an ant will ruthlessly attack intruder ants but rescue injured, closely related nestmates. There are good evolutionary reasons to aid relatives, after all. Now, it seems, family feelings may stir in plants as well." "A Canadian biologist planted the seed of the idea more than a decade ago, but many plant biologists regarded it as heretical—plants lack the nervous systems that enable animals to recognize kin, so how can they know their relatives? But with a series of recent findings, the notion that plants really do care for their most genetically close peers—in a quiet, plant-y way—is taking root. Some species constrain how far their roots spread, others change how many flowers they produce, and a few tilt or shift their leaves to minimize shading of neighboring plants, favoring related individuals." Pennisi quoted ecologist Richard "Rick" Karban, professor in the UC Davis Department of Entomology and Nematology, for her piece. 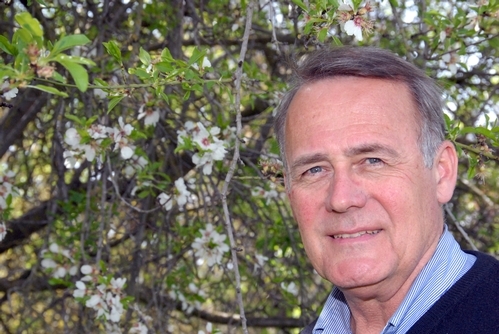 An international authority on plant communication, he authored the 240-page book, Plant Sensing and Communication (University of Chicago Press), considered a landmark in its field. An excerpt from Science: "Sagebrush bushes (Artemisia tridentata) have provided some strong clues, however. When injured by herbivores, these plants release volatile chemicals that stimulate neighboring sagebrush to make chemicals toxic to their shared enemies. 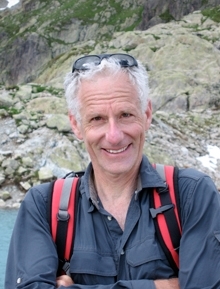 Ecologist Richard Karban at the University of California, Davis, wondered whether kin were preferentially warned. 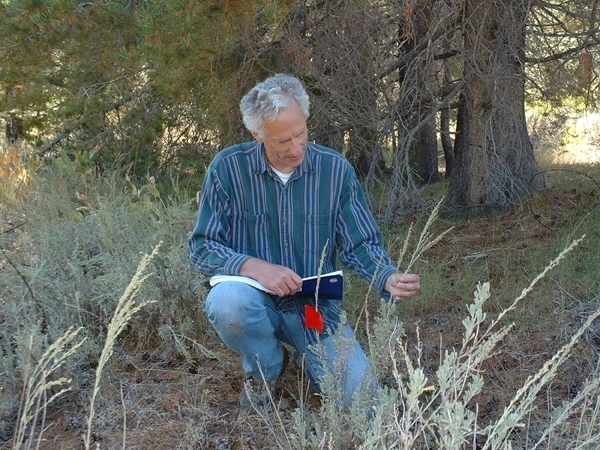 His group had already found that sagebrush plants roughly fall into two "chemotypes," which mainly emit either camphor or another organic compound called thujone when their leaves are damaged. The team showed that the chemotypes are heritable, making them a potential kin recognition signal. 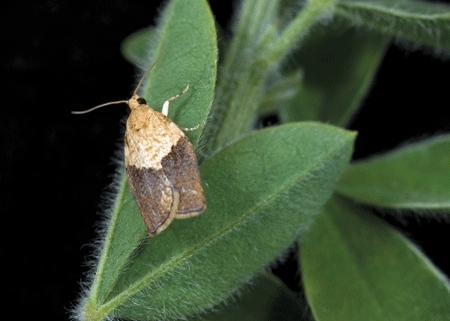 In 2014, the researchers reported that when volatiles from a plant of one chemotype were applied to the same type of plant, those plants mounted stronger antiherbivore defenses and had much less insect damage than when the volatiles were applied to a plant of the other chemotype—a hint of a kin effect." She concluded with a quote from Karban: "We are learning that plants are capable of so much more sophisticated behavior than we had thought. It's really cool stuff." "We aren't actually doing more work that addresses the issue of kin recognition," Karban told us. "We have found that sagebrush plants communicate more effectively with kin than strangers and more effectively with other individuals that belong to the same 'chemotype' as they do. Chemotypes are similar to blood types - they represent chemical variation among individuals in the population. As with blood types, it is puzzling why this variation exists. The cues that sagebrush use to communicate are potentially extremely complex; we can identify on the order of 100 volatile compounds that are emitted by damaged foliage. This gives an enormous number of possible 'words' that could provide information in the 'language' that the plants may be using. Since the chemotypes differ in only a few compounds, we are hoping that focusing on chemotypic variation will provide some clues that help us begin to decipher the language of the plants. “Plants responded more effectively to volatile cues from close relatives than from distant relatives in all four experiments and communication reduced levels of leaf damage experienced over the three growing seasons,” Karban wrote. The gist of it: if you're a sagebrush and a predator (such as a grasshopper) is eating your nearby kin, another sagebrush, it's good to be closely related. Through volatile (chemical) cues, your kin will inform you of the danger so you can adjust your defenses. Yes, plants can communicate. Plants sense their environments and respond. Although they lack central nervous systems, they process information and appear to "behave intelligently." They sense the position of competitors and "forage" for light. They sense the availability of water and nutrients in the soil and "forage" for these resources. Their decisions are influenced by past experiences, akin to memory. They respond to reliable cues that predict future events, allowing them to "anticipate." Plants respond differently to cues that they themselves produce, allowing them to distinguish self from non-self. They respond differently to close relatives and strangers. Plants that are prevented from sensing or responding experience reduced fitness. By understanding the "language" of plant responses, we can grow healthier and more productive plants. The most basic form of communication? When a plant is being shaded, it senses the diminished light quality caused by a competitor and responds by moving away, Karban says. Karban's work on plant communication is featured in a 2016 interactive lesson plan, TED-Ed Original Lessons where "words and ideas of educators are brought to life by professional animators.” Plants can eavesdrop, sense danger in the environment, and can distinguish friend from foe, he says.